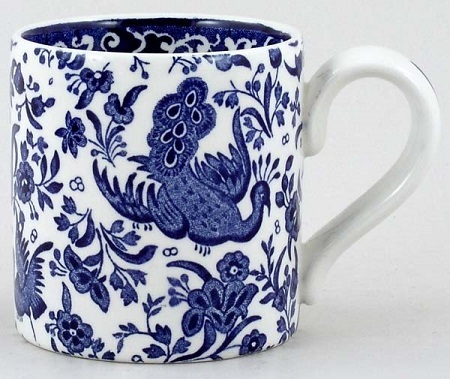 Blue Regal Peacock, made in England by Burgess and Leigh, reintroduction of a classic Burleigh design, known previously as Blue Bird and in the past as Chinese Peacock. Brand new and first quality, dishwasher and microwave safe. Blue printed backstamp Regal Peacock Burleigh made in England.